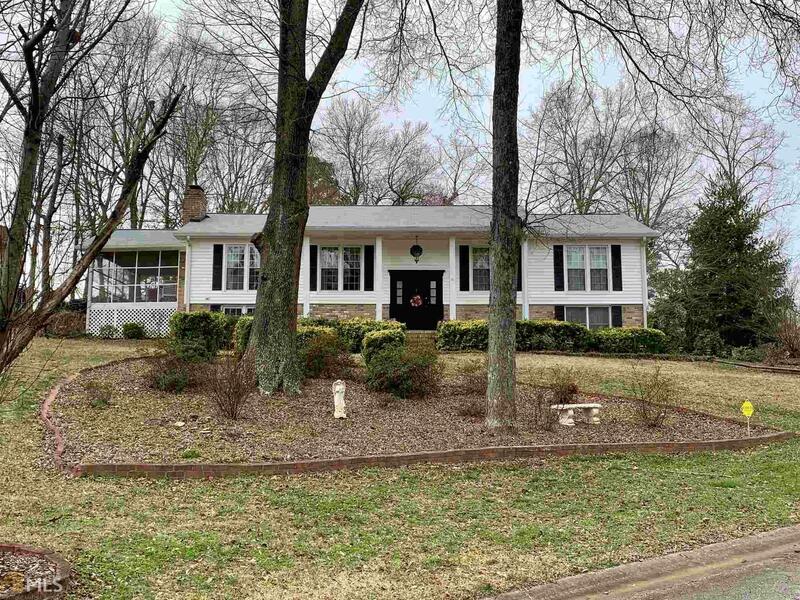 4 Bedroom, 2 Bath Home on Large Corner Lot in Quiet, Friendly West Cobb Neighborhood. WALKING distance to Excellent Shopping and Dining Options! Located in Sought After Hillgrove School District - Home Features Family Room with Vaulted Ceiling, Exposed Beams, and Stone Fireplace, Eat-In Kitchen, Separate stainless Steel Appliances. Spacious Bedrooms. Large Workshop downstairs. All Operables windows have been replaced. Oversized screened in porch and large deck off the back..